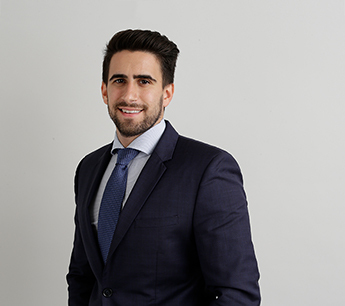 Aaron Labovitz is an Associate in RKF’s Miami office. He joined the firm in 2014 as a Canvasser and was quickly promoted to an Associate in June 2015. As a Canvasser, Aaron identified new business opportunities, collected up-to-date market and tenant information, and supported the Miami brokerage team on both landlord and tenant representation assignments. He has executed numerous leases with regional and national landlords, including East End Capital, Tristar Capital, The Brickman Group, Infinity Group, SEGBRO Companies, The Related Group and Rockpoint Group. He is currently working on several high-profile agency assignments, including Grand Corner in Coconut Grove, 1200 Ocean Drive in Miami Beach, Civica Center in the Health District and several buildings in Wynwood. Aaron has also worked with and executed leases with numerous regional and national retailers, including DJI, Oliver Peoples, Vapiano, Chill-N Nitrogen Ice Cream, SunTrust Bank, Carriage House, CVS/pharmacy and Gateway Dental. He earned a Bachelor of Science Degree in Psychology with a Minor in Business Entrepreneurship from Indiana University-Bloomington. Aaron is a licensed Real Estate Sales Associate in the state of Florida and a member of the International Council of Shopping Centers.